Roof Repair Ashburn VA, Roofing Company & Siding. Roofing Contractor: Roofing Company for Roof Repair and Maintenance in Ashburn, Virginia. As a roofing contractor in Ashburn, we provide roofing repair, roofing service, roofing maintenance and roof replacement service, siding and gutter service to residents and businesses in Ashburn, Virginia. 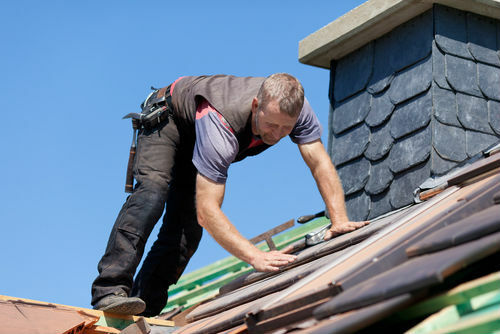 When it’s time to give your Ashburn, Virginia roof some attention so it can continue looking great and provide you and your family with protection, you’ll want to make sure a licensed, bonded, experienced and trusted roofing repair and roof replacement contractor Ashburn, VA company is taking care of the task. Ashburn Pro Roofing has you covered on all four fronts, and you’ll be pleased to know that all our roofing contractor services are fully insured. Our Ashburn, Loudoun County roofing repair company looks forward to bringing out the best in your roof at a price that doesn’t bring out everything in your wallet. Standard roof maintenance in Ashburn, VA. Roof repair in Ashburn, VA.
New roof replacement and construction. Storm damage and emergency roof repair in Ashburn, VA.
No matter which roofing service you need for your Loudoun residential, industrial or commercial roof, the roofing project will be completed by certified, dedicated and well-trained technicians who share in our mission to provide Ashburn, Virginia and the rest of Loudoun, Fairfax, Prince William and Arlington Counties with fully functional and beautiful roofs. Just like other parts of a home, roofs wear down over time. Because roofs play such a large part in the functionality and protection of your home, our Ashburn contractor company feels it’s best to be proactive about caring for every roof before they start to break down and lead to problems and more repairs. You don’t have to wait until you decide to put your home on the market before you hire a roofing company to perform inspection and repair services; you’ll want to schedule services if your roof has endured ice, hail, wind or other extreme weather damage. We offer comprehensive and fair estimates, and certifications so you know how much your roofing services (repair or replacement) project will cost and so you know you have a quality roof. Our company technicians also do a thorough job of inspecting and servicing your Ashburn roof for the best results. Roof maintenance and repair are two things that everyone who owns a home in Ashburn, VA should know something about. The trouble is that many people don't even know the fundamentals and best practices involved in keeping a roof in great shape. Please keep reading to learn more about roofing and make sure your Ashburn home's roof. Look over your roof carefully at least once per year. Roofs tend to suffer the most damage during winter months as well as spring time. Though leaks may be the result of shingle issues, take a look at your roof's foundation. Water can get into your Ashburn home anywhere and cause rotting. Check all areas to make sure this isn't happening. Don't try to fix your roof when the weather conditions are poor. A slippery or wet roof can cause you to fall and seriously injure yourself. If you work on the roof on your own, make sure to do the work when the weather is dry. It's also a good idea to tether yourself to something that can hold your weight. Mow your Ashburn, Loudoun County lawn prior to having a roofing company work on your roof, whether it's being repaired or replaced. This will make it easier to find nails that hit the ground. If contractor has a magnetic tool for finding nails, short grass will help the tool work more efficiently. You don't want to walk on your roof in search of damaged spots. If you have any doubt about the structural integrity, you should hire a person to examine things. You do not want to run the risk of the roof caving in from your walking on it. Make sure your homework is done when you're hiring a contractor for repairs. Don't hire the cheapest repairman who comes to call. Having a solid roof is crucial. Knowing how to maintain one is the difficult part. If in doubt, call a trusted roofing services company like Ashburn Pro Roofing at (703) 345-0601.